Monday Motivation – Let me be your Jiminy Cricket! When Jiminy Cricket first came to media attention for his supporting role in a movie called Pinocchio in the 1940s, few realised the significance of this little green, talking insect with umbrella and top hat. To me, he represents the essence of my coaching philosophy. First he teaches you to sing (or hum), “When You Wish Upon A Star” where you effortlessly learn the secret to goal setting…that reaching your own star is how you fulfil your life best. The hardest part is selecting only one star to reach for. Until you know what you want, you’ll never know if you’ve satisfied your goal. 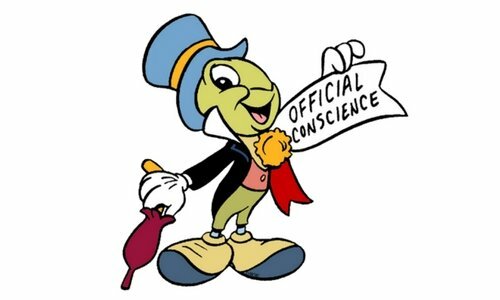 Additionally, Jiminy as coach represents a “conscience booster” to help you identify the right from wrong decisions which will lead to your success. Your coach becomes a trusted and faithful guide along the way – so you stay on the straight and narrow. No coach will give you the answers as to what’s right or wrong. Instead, they’ll ask clarifying questions to help you identify what contributes or distracts from you achieving your vision. The choice is up to you. This conscience/coach is available to help you when it seems you can’t stay focused. They offer words of encouragement and challenge so you can resist temptation. They suggest and support your choices to keep you on the straight and narrow path, pre-defined by you. I’m proud to say I’m a coach like Jiminy Cricket. Get in touch today to see how I can help you achieve your goals – email me at babette@52.62.165.177.
https://mindshifts.com.au/ms/wp-content/uploads/2018/03/MindShifts-edM-Graphic-4.jpg 300 500 Babette Bensoussan https://mindshifts.com.au/ms/wp-content/uploads/2017/08/mindshift.jpg Babette Bensoussan2018-03-05 15:00:482018-03-05 15:02:07Monday Motivation - Let me be your Jiminy Cricket!